To provide a safe and efficient means of lifting Jacking Pipes onsite they are fitted with suitably designed cast-in spherical lifting anchor sockets & RD lifting loops. Pipes should be lifted using a two legged chain with spherical lifting anchors or universal lifting loops and two shortening clutches for altering chain lengths to ensure the appropriate lifting angle. 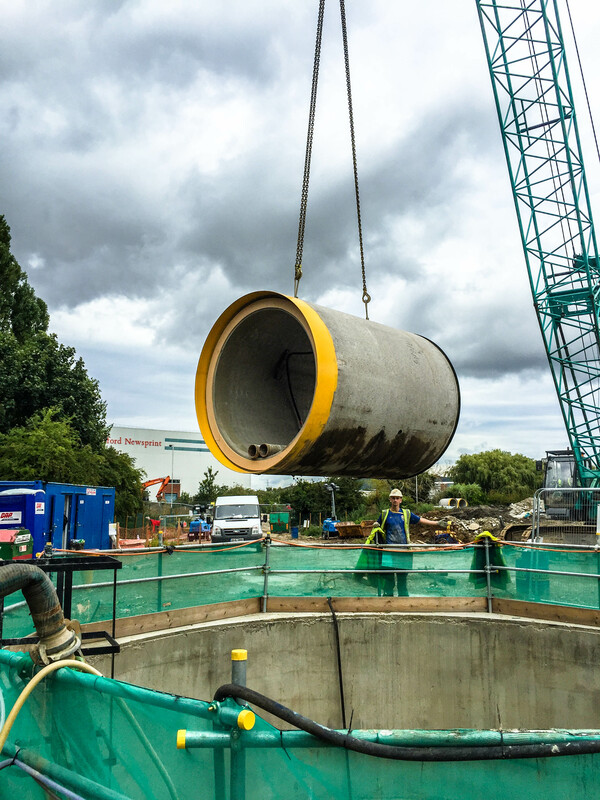 Under no circumstances should the lifting system be used to lift more than one pipe at a time or to aid the jointing of pipes. 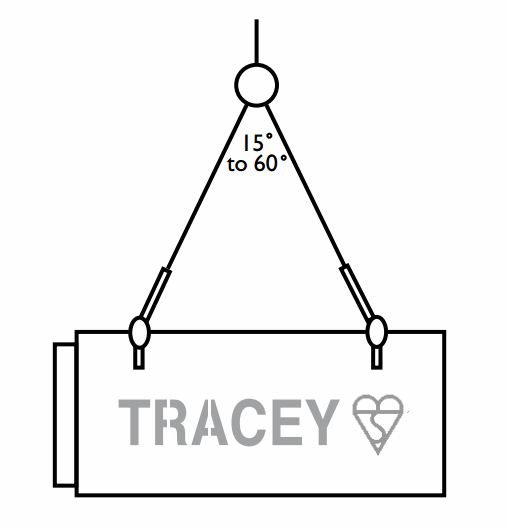 Ensure that the crane hoist is centrally placed between the two lifting sockets and lift the pipe. Lifting should be carried out slowly and steadily, avoiding all shocks and impacts. After lifting of the pipe the lifting loop should be removed and the lifting socket hole filled. 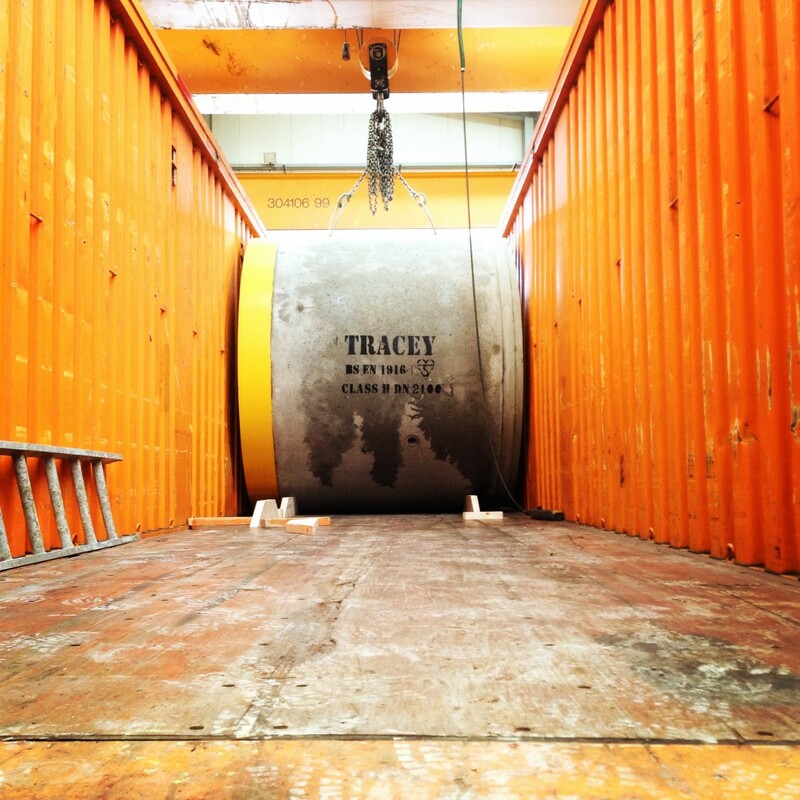 Lifting equipment to suit Tracey Concretes Jacking pipes is available from SDG Construction Technology Ltd.
Where stacking is necessary, this must be on level ground and the bottom layer of pipes securely chocked to prevent pipes from rolling or stack from collapsing. 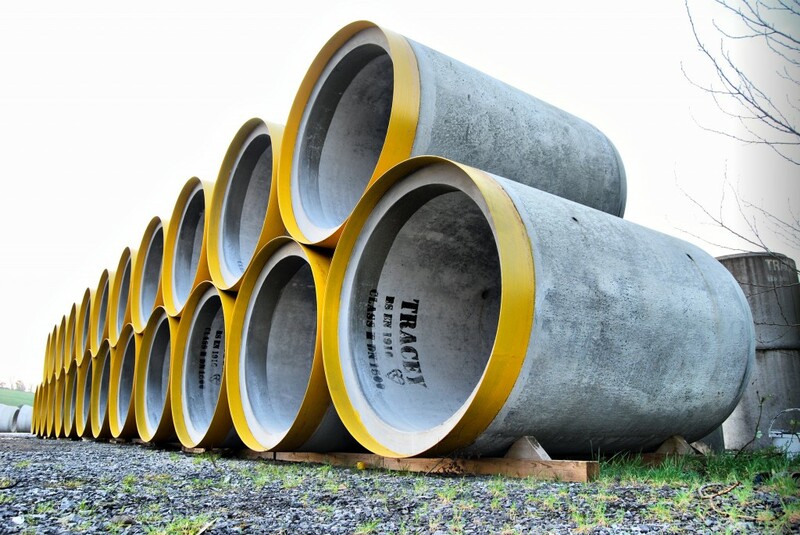 For safety reasons, jacking pipes should not be stacked in layers higher than 2.0m onsite. It is important to store rubber seals away from strong sunlight and frost.